The IAAF World Indoor Tour moves on to Torun in Poland on Wednesday (February 6), with Britain’s Laura Muir, Elliot Giles, Bianca Williams and Imani-Lara Lansiquot among those competing at the Orlen Copernicus Cup. 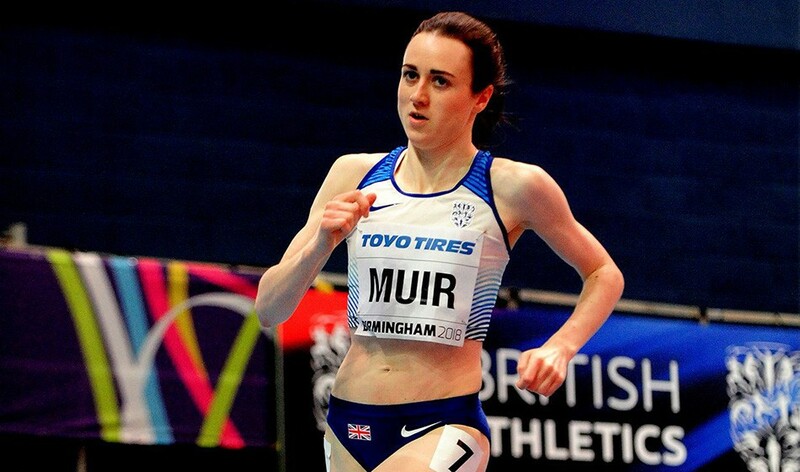 European indoor 1500m and 3000m champion Muir will drop down to race over 800m following the 14:52.02 5000m she ran in Glasgow at the beginning of the year and ahead of this weekend’s British Championships and European Indoors trials in Birmingham. It will be a good test as she lines up alongside Switzerland’s two-time European indoor 800m champion Selina Büchel, Ethiopia’s Habitam Alemu and Poland’s Sofia Ennaoui. Giles is also set to race 800m after his recent sub-four-minute mile at Lee Valley, while Williams and Lansiquot will line up in the 60m. The spotlight in that sprint event will be on Ewa Swoboda as the world-leader with 7.08 from Karlsruhe competes in front of a home crowd. Marie-Josée Ta Lou, Ivory Coast’s world indoor silver medallist, will be among their competition, while the men’s 60m hurdles will see Spain’s Olympic silver medallist Orlando Ortega and USA’s world indoor silver medallist Jarret Eaton in action. The women’s event will include Germany’s world leader Pamela Dutkiewicz and European 100m hurdles champion Elvira Herman of Belarus. Home favourite in the men’s 1500m will be world indoor silver medallist Marcin Lewandowski as he goes up against a field including Ethiopia’s world indoor champion Samuel Tefera. Piotr Lisek and Pawel Wojciechowski also compete in front of a home crowd as part of a pole vault line-up which includes USA’s world champion Sam Kendricks. Cuba’s world indoor champion Juan Miguel Echevarria contests the long jump, while the women’s shot put features Poland’s European champion Paulina Guba, world indoor champion Anita Marton of Hungary and Germany’s 2015 world champion Christina Schwanitz. The meeting timetable can be found here, with the opening ceremony at 17:55 (16:55 UK time), while a live stream will be available here. PreviousPerformance blog: what training are you doing? NextGet ready to run with Simplyhealth!